Fortnite Season 8 is on the cusp of finally launching, and the brand new patch notes to support the season are here. Season 8 kicks off with new locations, weapons, and skins. 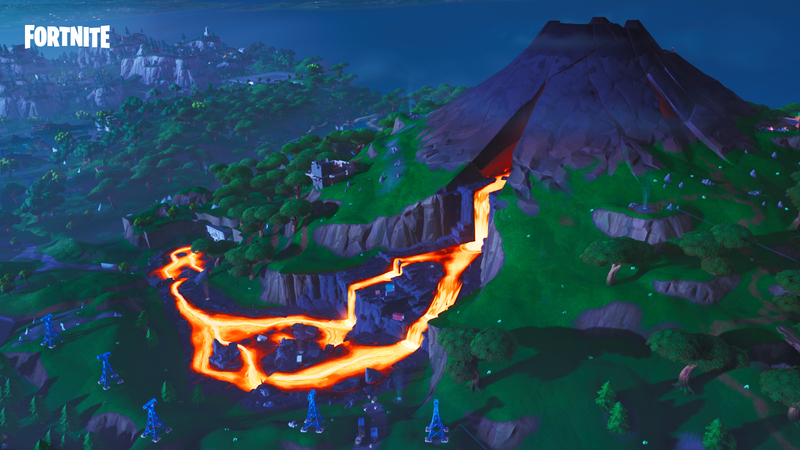 To start with, there are the new Volcano, Sunny Steps, and Lazy Lagoon locations on the Fortnite Battle Royale map. New seasons in Fortnite Battle Royale always bring in new locations, so the addition of a new trio of locations is no major surprise. We suspected that the new season would have a pirate theme, and there’s a new weapon to fit. The Pirate Cannon is a new weapon that you can use in Battle Royale, and is especially good at destroying enemy structures. Turns out you can either fire a cannonball out of it or climb into it and use yourself as a projectile. Below, we’ve rounded up some of the more notable additions to Fortnite Battle Royale in the Season 8 patch. For a full list of all the changes, head over to the official Fortnite website. Vaulted the Sneaky Snowman, Chiller Grenade, X-4 Stormwing, Shopping Cart, and ATK. Reduced availability of high tier assault rifles. Added Lava, which deals 1 damage per touch. Cozy Campfire now glows through a thermal scope. For all the additional information you need on the new seasonal event in Fortnite Battle Royale, head over to our Fortnite Season 8 guide.